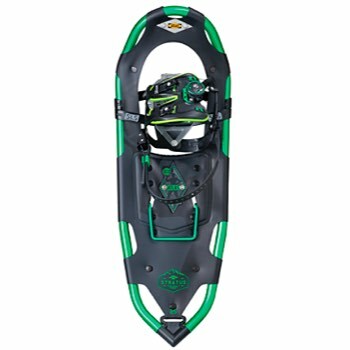 the Atlas Stratus Snowshoe inspires more winter fun while tackling more challenging terrain. 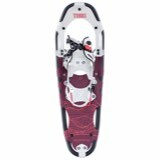 It features an aggressive All-Trac toe crampon which provides traction in all directions for confident hiking. 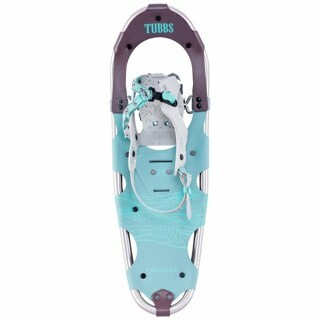 The lightweight, durable V-frame tracks straight in deep snow, and the tapered tail pulls less snow so you can save energy. 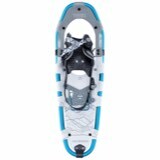 Spring-Loaded Suspension keeps the snowshoe close underfoot for easy maneuvering and natural movement side to side. 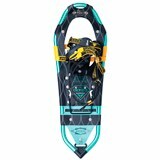 The SLS also enhances traction, making it easier to navigate steep or off-angle terrain. 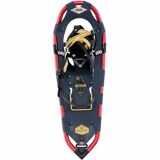 A heel lift bar allows you to make short work of steep, icy, and uneven terrain by easing foot and calf fatigue. The Wrapp Helix binding blends Atlas' Wrapp design with the Boa Closure System, making it easy to get a precise, secure fit every time.